The theme for our January competition was ‘Something Old’, preferably a short story written some time ago and never used. 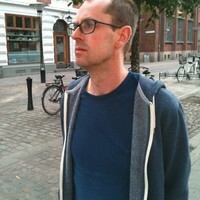 ‘Arrivals’ is a 600 word shortish piece written a couple of years ago, while I was doing Open University A215. We were asked to do a freewrite and base the story on that. I took my notebook to Heathrow T5, where I was meeting someone, and did the freewrite while I was waiting in the coffee bar. Afterwards I wove a brief story around it. I edited it again just prior to posting. 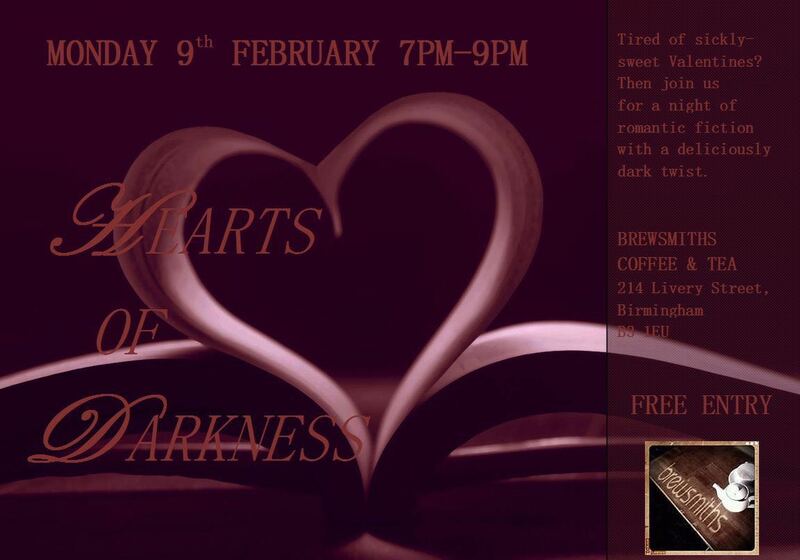 I shall be reading an adaptation of my short story ‘Death at the Red Rose’ from ‘A Receiver of Stolen Words‘ at this open mic evening in Birmingham’s Jewellery Quarter, featuring local writers. Public consultation on Birmingham Library and Archives closes today. 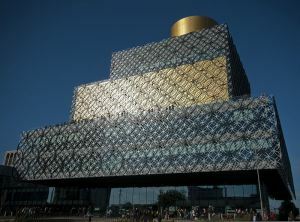 Outside the Library of Birmingham for two hours today. My ears are still numb with cold! But at least I’ve done something, however small. It’s fascinating talking to the library users. Visitors from outside the city – I spoke to a lady from Iran who said she had travelled the world and visited almost every town in the UK – as well as local residents. I’d estimate that at least half the library users are young people – especially college students. Then, it was as if he realised that his views mattered, even if only in a small way. And he went and filled in a petition slip and gave it in. Without archives, history fails; without history, democracy fails, for how else can we discover the lessons of the past? 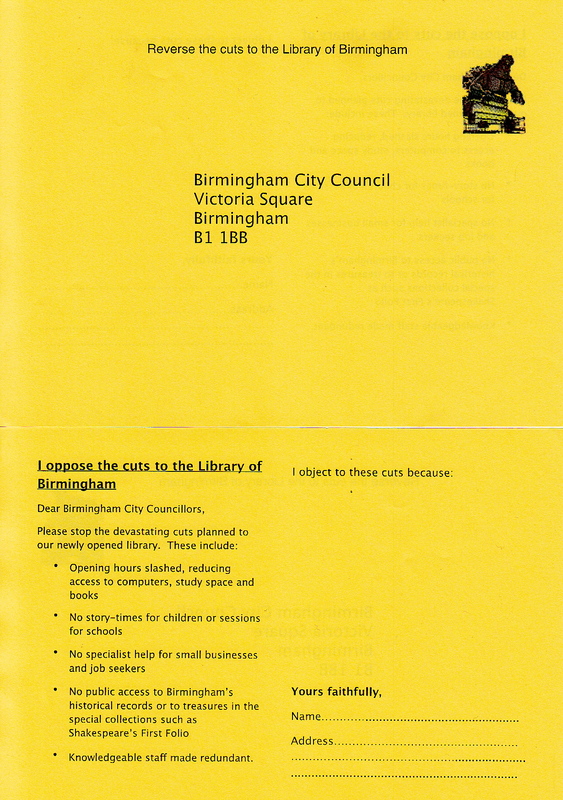 I once worked part-time in the archives service at Birmingham’s old Central Library. That experience taught me that archives services do far more than help with a bit of post-Christmas family history research. They give people an interest in a place, and sense of pride in a place, and they are an effective marketing tool for a city to the wider world. Even if you’ve never set foot in an archive you might well know that they contain exciting things. TV historians wearing white gloves – usually unnecessarily – often manage to find something precious in them.